Maximum puncture protection for race bikes! Durano Plus with a new dynamic profile. The SmartGuard belt is not as deep as the Marathon Plus's, nevertheless it offers a unique level of protection for racing tyres. This is the most puncture protected road bike tyre. SmartGuard - The most efficient protection belt there is for bike tyres. In other words; flatless. Solid, 5mm thick layer of highly flexible special rubber provides permanent protection. Also in the case of embedded objects. Even thumbtacks are no problems for this tyre. Works fine, look sturdy. No puncture so far but only fitted it for a week. The rubber looks quite thick which gives me confidence riding over debris. Good product, of course, but hard on the thumbs, due to small wheel size. It would be helpful if, having ordered a tyre, suitable inner tubes would pop up on screen, saving a bit of searching. what is the rolling resistance of Schwalbe Durano Plus HS464 Folding Tyre - 20 Inch , 406? As they are fairly slick i can imagine that the rolling resistance is fairly small. In terms of exact numbers we would have no idea. Are These Tyres Suitable For Tern Verge X10? will these tyres fit tern verge x10 and if so, which inner tubes are best ? These tyres should be fine for use on your Tern. 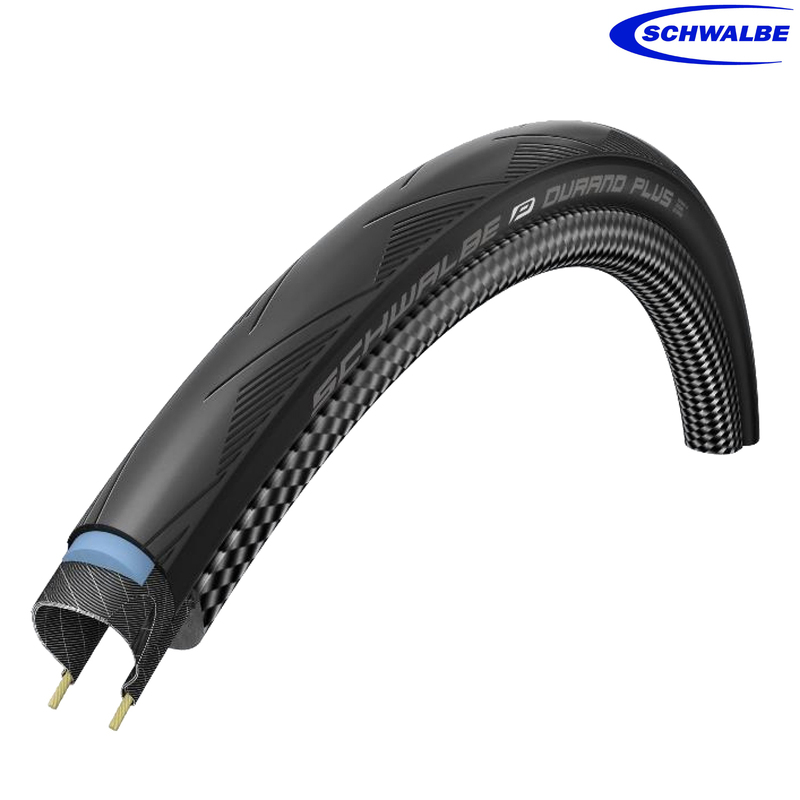 The inner tubes we recommend for these tyres are the Schwalbe SV6, these are SJSC part number 3834. These tyres in 20" weigh 315grams.